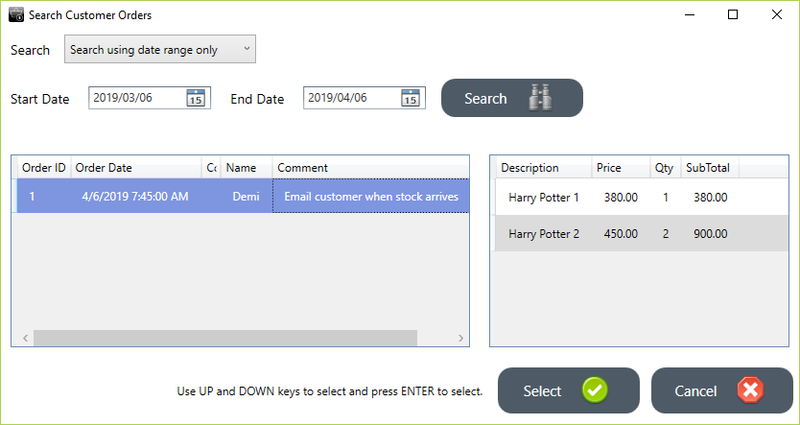 If items are out of stock or a customer requires a lot more than what is available in the shop, you can create a customer order for a specific customer. 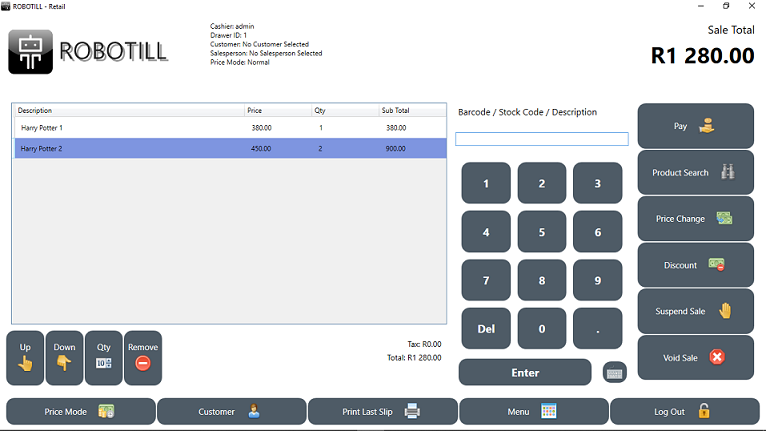 To order items for a customer, add the items that is required to a sale. The customer selection screen will open. Select a customer or add a new customer. The cashier will then be prompted to enter a comment for this order. If no comment is required the cashier can just press ENTER. Two slips will be printed. The first slip (Customer Order Slip) will be for the customer to show that an order has been placed with the details of the order. The second slip (Customer Order Reserve Slip) is for the shop so it that can be placed with the goods when they arrive (so that the goods are kept separate for the customer). The slip will also contain the customer name, telephone number and email so that the shop can contact the customer to notify him that his goods has arrived. These slips can be customized in Slip Design. In ROBOTILL Manager a message (link) will become visible to indicate that there are new items that needs to be ordered for customers. The number of items will be: The total number of items that needs to be ordered (not the number of orders) - minus actual stock on hand for those items - minus orders already placed for those specific items. 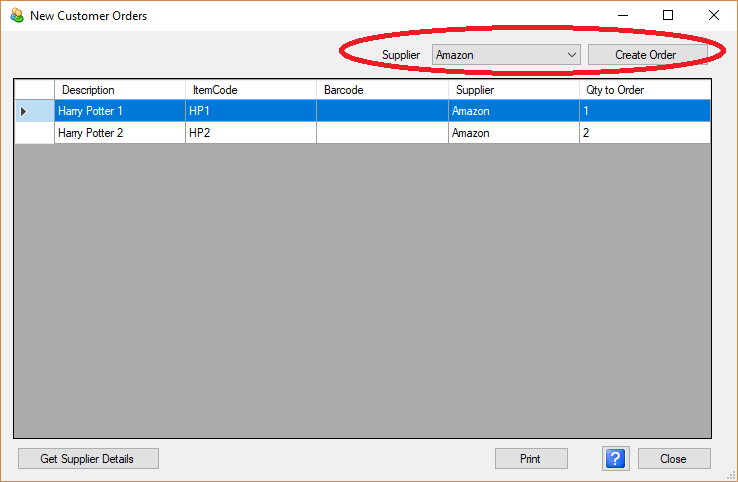 When you click on the link (or go to 'Products and Stock' > 'Customer Orders'), a list of items that was ordered by customers will be displayed. 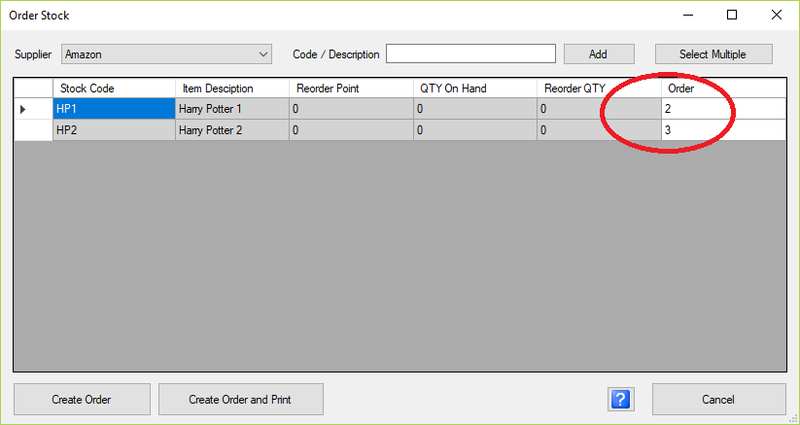 Select a supplier from the list (as an Supplier Order is created per supplier) and click on 'Create Order'. The supplier order screen will open with the items ordered by customers for that specific supplier. 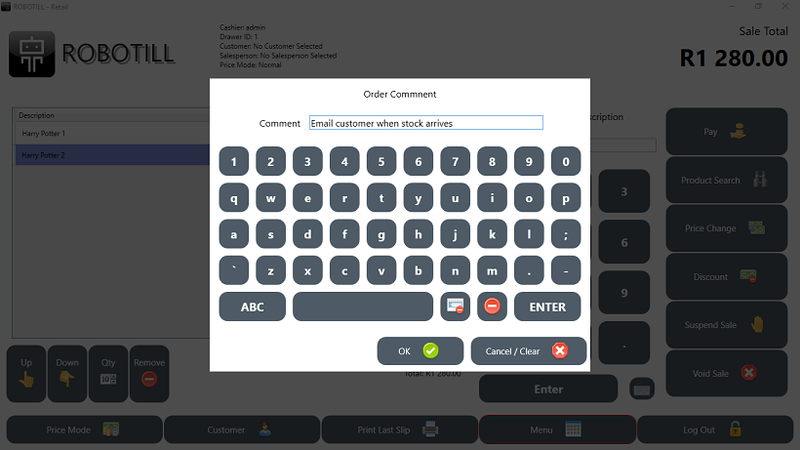 Order Suggestion = [Number ordered by customer] - [Quantity on Hand] - [Number already ordered but not yet received]. The order can then be completed and received - see Supplier Orders. 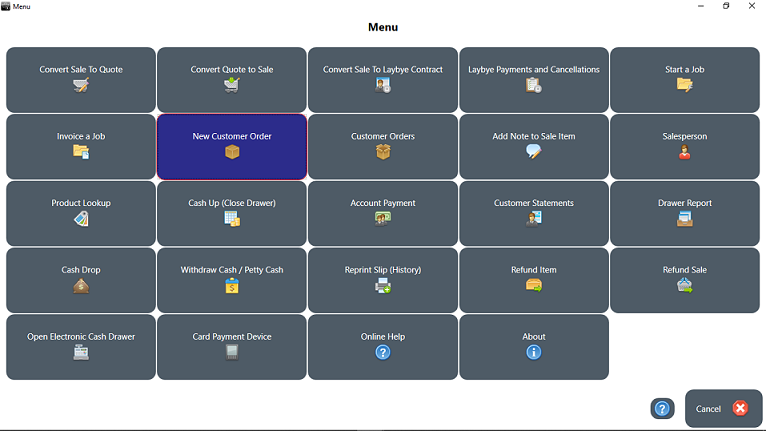 When the customer collects the order, in the Retail module, click on Menu and then 'Customer Orders'. Select the customer's order in the list and click on 'Select'. The order will be converted into a sale that can be completed.